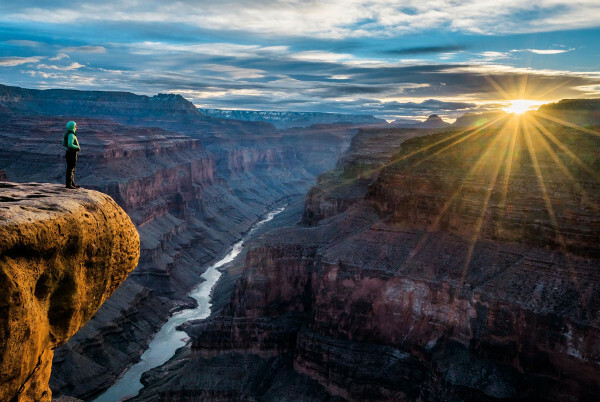 The name “Grand Canyon” brings to mind incredible beauty and breathtaking whitewater rafting trips. This granddaddy of whitewater rafting in Arizona boasts 150 rapids, including some of the wildest whitewater in North America. The two largest, Lava Falls and Crystal Rapid, are awesome to behold, and exhilarating to run. Sparkling clear springs gush from cracks in the cliffs, forming lush oases of ferns, pools, and wildflowers. Each of the Earth’s climatic zones is represented in Grand Canyon from alpine forests on the rim to Sonoran deserts in the lower elevations. 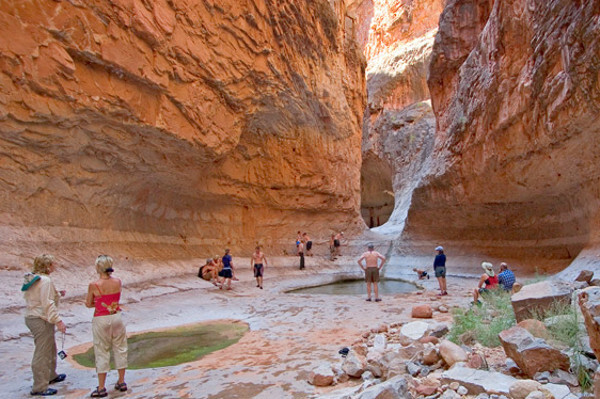 Five, six, eight and nine-day split trip options offer either the lower or upper section for Grand Canyon rafting. These lower and upper rafting trips involve a 9-mile hike into or out of the canyon from the South Rim to the Colorado River and are only recommended for those in good physical condition. Reservations should be made well in advance as demand for this world-class adventure is high. 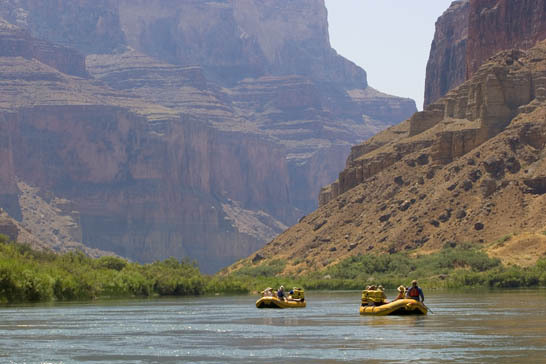 Grand Canyon whitewater rafting trips are run by outside affiliates who are authorized Grand Canyon concessionaires. 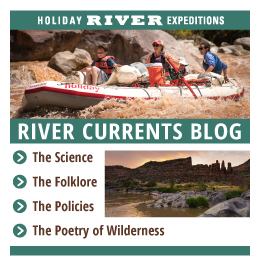 Looking for a Colorado River Rafting trip that is lighter on your pocket book and busy schedule? 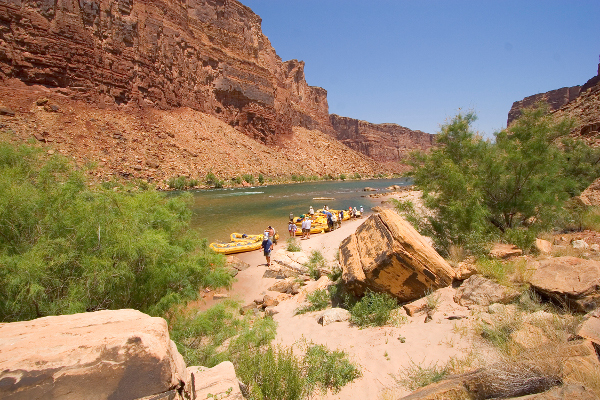 Check out any of the alternative “Grand” canyon river rafting trips! They are sister rivers, sitting just above the Grand Canyon along the Colorado River drainage in the Colorado Plateau. From deep canyons, pre-historic rock layers, big whitewater and numerous cultural sites and hikes along the way, these alternative canyons have it all for a fraction of the cost and time. 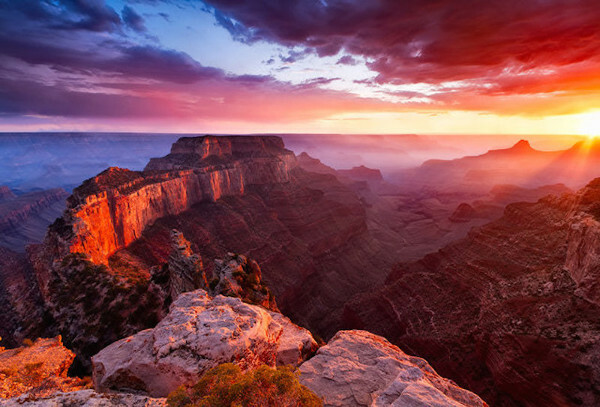 The Upper Grand Canyon is an amazing place with legendary landmarks such as Vasey’s Paradise, The Little Colorado, and Redwall Cavern to name a few. While the most infamous whitewater is found in the lower canyon, the Upper still holds some major rapids such as Nevill’s and Hance. Starting at Lees Ferry the Canyon opens to us as we begin the float into its vast interior. It all starts as a narrow, sheer-sided chasm, winding through the uplifted Kaibab Plateau. The first 61 miles of Marble Canyon is the most photographed, perhaps the most scenic portion of the Grand Canyon. The rim moves away from view as the Canyon broadens to its full expanse of 13 miles. Then we enter the foreboding inner gorge with its exquisite polished granite. This gem of The Little Colorado is indeed one of the most scenic places on earth! This Lower section of the Grand Canyon is characterized by its granite gorges, punctuated by massive whitewater adventure. 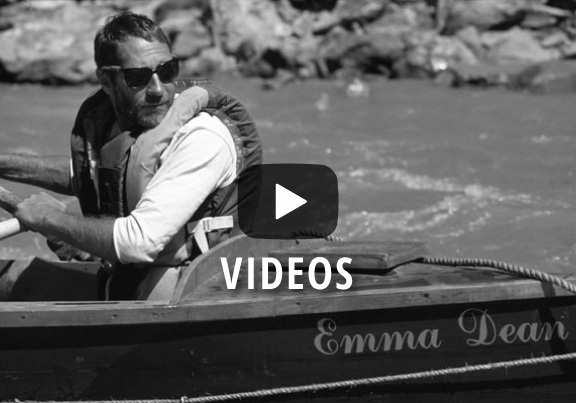 All the legendary rapids reside in this lower portion of the canyon; those that hang off the tips of river-rafters tongues, the rapids of folklore… Hermit, Crystal, Lava Falls… are heard echoing from the beginning to the end of this river trip. Hold on to your hats because not only will this be a wild, (yet safe) ride but those shady hats will come in hand for the many epic side-canyon hikes peppered throughout the lower gorge. This trip has every ingredient to make a memorable trip, all its missing is you!